150 x 200 mm goods inwards self adhesive vinyl labels. 150 x 200 mm goods outwards self adhesive vinyl labels. A5 goods inwards self adhesive vinyl labels. A5 goods outwards self adhesive vinyl labels. A5 goods outwards 1.2 mm rigid plastic signs. A5 goods inwards 1.2 mm rigid plastic signs. 150 x 200 mm goods outwards 1.2 mm rigid plastic signs. 150 x 200 mm goods inwards 1.2 mm rigid plastic signs. A4 goods inwards self adhesive vinyl labels. A4 goods outwards self adhesive vinyl labels. 150 x 200 mm goods inwards 1.2 mm rigid plastic signs with s/a backing. 150 x 200 mm goods inwards 1.2 mm rigid plastic signs with self adhesive backing. 150 x 200 mm goods outwards 1.2 mm rigid plastic signs with s/a backing. 150 x 200 mm goods outwards 1.2 mm rigid plastic signs with self adhesive backing. 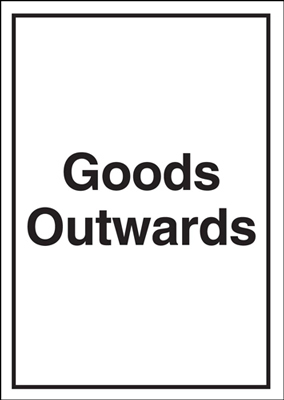 A3 goods outwards self adhesive vinyl labels. A3 goods inwards self adhesive vinyl labels. A5 goods inwards 1.2 mm rigid plastic signs with s/a backing. A5 goods inwards 1.2 mm rigid plastic signs with self adhesive backing. A5 goods outwards 1.2 mm rigid plastic signs with s/a backing. A5 goods outwards 1.2 mm rigid plastic signs with self adhesive backing. 300 x 500 mm goods outwards self adhesive vinyl labels. 300 x 500 mm goods inwards self adhesive vinyl labels. A4 goods outwards 1.2 mm rigid plastic signs. 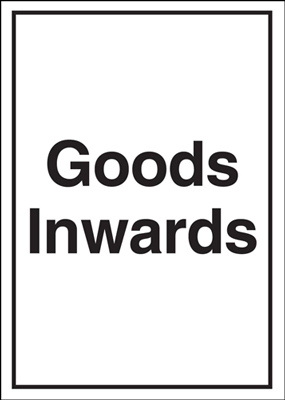 A4 goods inwards 1.2 mm rigid plastic signs. 300 x 500 mm goods inwards 1.2 mm rigid plastic signs. 300 x 500 mm goods outwards 1.2 mm rigid plastic signs. 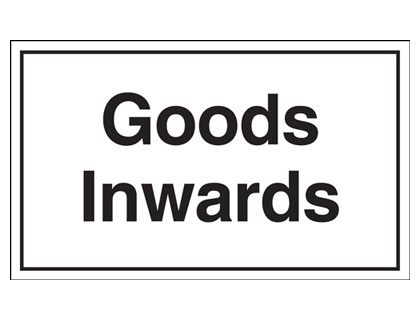 A3 goods inwards 1.2 mm rigid plastic signs. 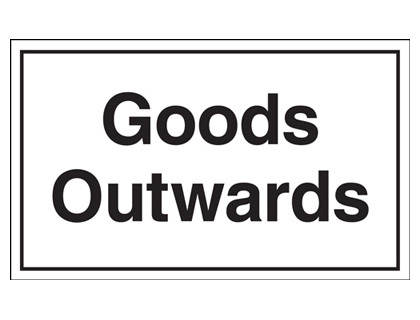 A3 goods outwards 1.2 mm rigid plastic signs. 300 x 500 mm goods outwards 1.2 mm rigid plastic signs with s/a backing. 300 x 500 mm goods outwards 1.2 mm rigid plastic signs with self adhesive backing. 300 x 500 mm goods inwards 1.2 mm rigid plastic signs with s/a backing. 300 x 500 mm goods inwards 1.2 mm rigid plastic signs with self adhesive backing. A3 goods outwards 1.2 mm rigid plastic signs with s/a backing. A3 goods outwards 1.2 mm rigid plastic signs with self adhesive backing. A3 goods inwards 1.2 mm rigid plastic signs with s/a backing. A3 goods inwards 1.2 mm rigid plastic signs with self adhesive backing. A4 goods inwards 1.2 mm rigid plastic signs with s/a backing. A4 goods inwards 1.2 mm rigid plastic signs with self adhesive backing. A4 goods outwards 1.2 mm rigid plastic signs with s/a backing. A4 goods outwards 1.2 mm rigid plastic signs with self adhesive backing.